Are you an aspiring Orange Independent? 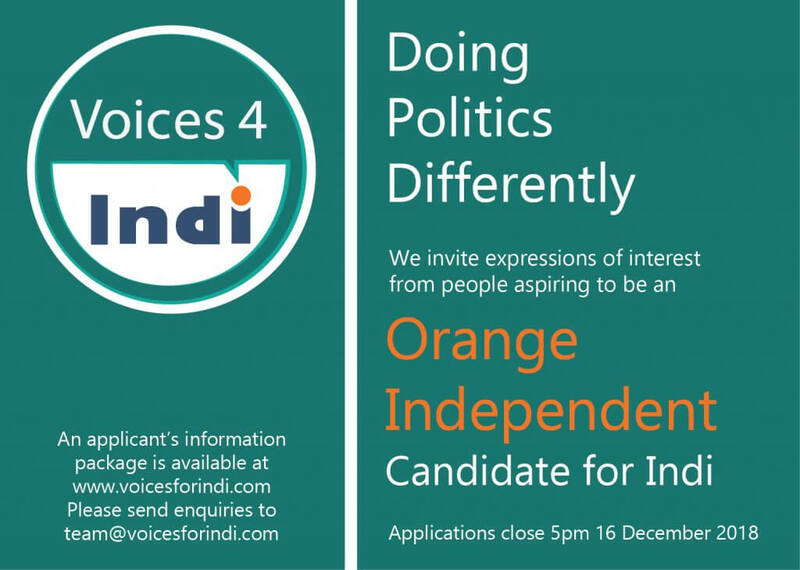 Voices for Indi has an Information pack for people looking to be a Candidate for Indi. 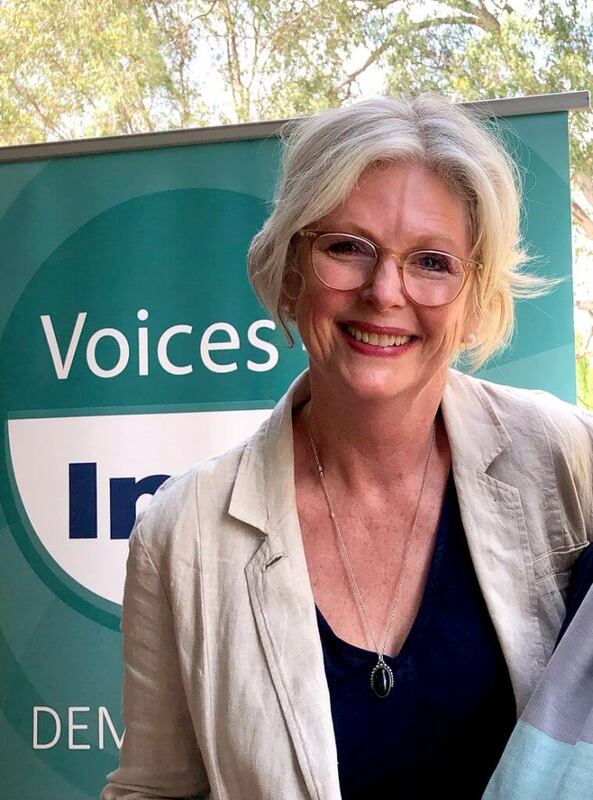 Helen Haines has lived and worked as a nurse, midwife, health administrator and medical researcher in North East Victoria (Chiltern, Rutherglen and Wangaratta) for more than 32 years. Voices for Indi is proudly hosting Gabrielle Chan, author of Rusted Off: Why Country Australia is Fed Up. Events are planned in Mansfield, Albury, Violet Town, Wangaratta and Shepparton.